It all began, quite literally, as a dream — a vision for a mobile computer lab that would travel across Canada to communities large and small in an effort to promote digital literacy and a love of coding. In the summer of 2016, that vision came to life in a spectacular fashion! Between May and September, 2016, our distinctive bright-green truck could be seen rolling down city streets and trans-national highways from coast-to-coast. Aboard our Code Mobile was a rotating team of Canada Learning Code staff whose mission was to bring our signature technology learning experiences to as many young Canadians as possible over the course of 18 weeks. They set up their tents and laptop stations at Friendship Centres, schools, festivals and even on the lawn of the Parliament Building in downtown Ottawa — anywhere eager minds could be found! 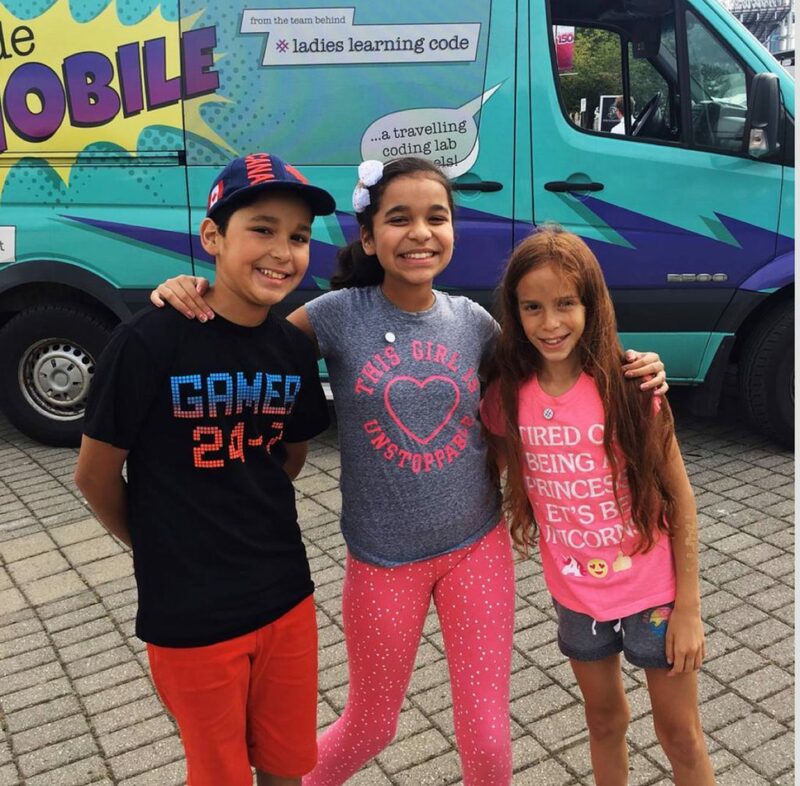 In total, the little Code Mobile that could logged over 8,100km, visiting 51 communities in 12 provinces and territories, and reached over 8,200 young people that summer. We keep our instagram feed full of inspiring stories about meaningful experiences with code.